This is the first ever introduction to Urie Bronfenbrenner’s Ecological Systems Framework written specifically for undergraduate students. 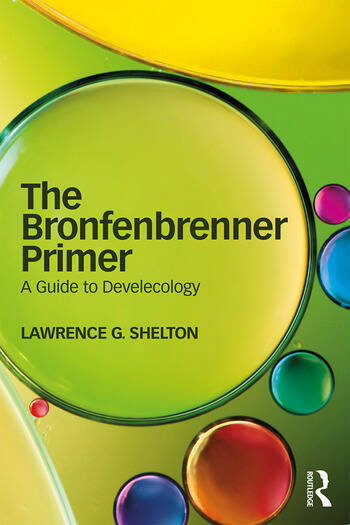 The author provides a carefully structured, guided introduction to Bronfenbrenner’s concepts, their interpretation, and their potential applications. Bronfenbrenner’s scientific analysis of the role the environment plays in human development earned him a premier place alongside Jean Piaget, Sigmund Freud, and Erik Erikson as a contributor to our understanding of developmental processes. His ideas are essential for analysing how development happens, how it goes astray, how to right it when it does, and how to create environments that will promote healthy development. The Bronfenbrenner Primer walks students through each component of the framework in a logical order, helping students build a solid, systematic understanding. It describes the background and context that led Bronfenbrenner to develop his framework, illustrates a wide array of potential applications, and provides activities students can do to practice applying the framework to their own experience. Honed over 25 years of teaching Bronfenbrenner’s ideas, this text will be essential reading for students across the behavioral and social sciences. Lawrence G. Shelton is a Developmental Psychologist who has taught in the Human Development and Family Studies Program at the University of Vermont since 1971.